Emerging from Orange Hill, St. Vincent and the Grenadines, Hayden Billingy has been performing for over 3 years. His abilities are well supported by his 13 years of poetry writing. Music was the channel that brought him out of depression and he uses it to as a vehicle to inspire others to hope against all hope. He cites Smokie Norful, Andre Crouch and Beres Hammond as his role models. Hayden has already performed in Cuba, Holland and at GospelFest Barbados. He is currently set to do some shows in the USA. 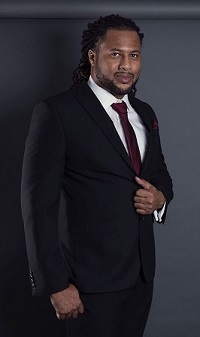 A man of many talents Hayden is also one of the Directors of Arch City Entertainment Management Agency, one of the leading events, production and recording companies for Christian Music in St Vincent and the Grenadines. He was recently nominated for SVGAMP Awards for Gospel Single of the Year 2016, Gospel Single of the Year 2017, Songwriter of the Year 2017, Best Vocal Collaboration of the Year 2017, Best Video of the Year, 2017. To his credit some of his popular tracks include Pour It Out, Good Times, No Life, On times and his recently released Stone Heart. His personal favorite is “ Hold On” written in 2016. As Hayden continues to make his mark he reminds that “My love for God drives my music”. For more on Talent like Hayden, do click and LIKE our Plenty Talent Facebook Page.